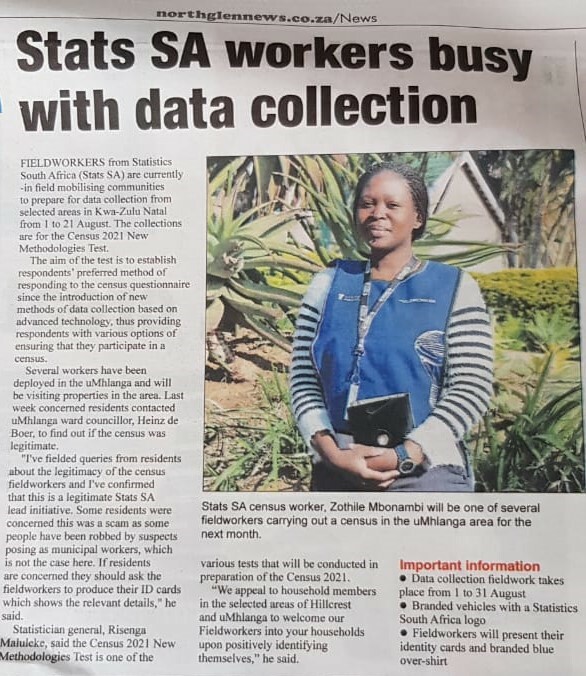 Please note that Stats SA fieldworkers are out and about collecting data in the area. They will be carrying out data collection until the 21st of August 2018. Please ensure that you only deal with fieldworkers that produce their official identity cards and wearing branded Stats SA over-shirt.